We live in a world machined. While most people go about their daily lives never considering CNC machining and all the ways it’s transformed life and work on this planet, here at MakeTime, we think about it constantly. Being able to see and facilitate the making of so many fascinating parts long before they reach their destination inside a final product is a gift. CNC machining, design, prototyping, assembly — we can hardly get enough of it or of the companies and people who make it happen. While many of our most faithful customers found out about MakeTime on their own — through search engines, online ads or attendance at an industry trade-show like D2P — we also actively seek out customers we’d like to work with. Whenever we come across inventions, designs or products we enjoy, we work extra hard to find out whether or not MakeTime could play a part in making them hum. In many ways, it’s a habit of the business we’re in. With a CNC machining network that stretches from sea to shining sea and boasts hundreds of thousands of available hours on thousands of manufacturing’s most advanced machines, wouldn’t you do the same? If you could make anything, what would you make? We heavily scrutinize the latest technology, and we track trends across a wide variety of industries. We do this analysis, because we want to understand how things are put together and how everyday products come into existence. Doing so also helps us seek out potential manufacturing work, which is why we take proactive methods. We print out and clearly highlight CNC machined parts within product teardowns. We unfold exploded axonometric drawings within product assembly instructions. We even bring in our own trending household gadgets to dismantle, and yes — all this activity is commonplace within our MakeTime offices in Lexington, Kentucky, U.S.A.
For example, wouldn’t it be amazing to pull out and identify all the complex, glimmering parts inside a Tesla P100D variant Model S? Imagine locating each part that makes possible the multi-process planning that sets off a chain of kinematic events able to convert electrical energy to mechanical energy and turn the system of manufactured rotors and shafts that make it possible for a production vehicle to go from 0 – 60 mph in 2.275507139 (+/- 0.000000001) seconds. Commonly known as Ludicrous+ mode, that rate of acceleration is a record that bests even the fastest Lamborghini. No, we haven’t yet been able to take apart a Tesla P100D variant Model S, but should we ever get the opportunity, we’ll let you know. There’s no doubt in our minds some its best bells and whistles are CNC machined. What we do get the chance to dismantle, however, is still very inspiring. Uncovering the gritty, mundane components seamlessly integrated inside everyday objects like fire extinguishers is often mind-blowing. While we hope to never need to utilize one, your average fire extinguisher is an amazing example of simple and powerful design that also happens to make excellent use of CNC machining. Fire extinguishers contain several machinable threaded nozzles and valves. (Check out this well-composed fire extinguisher teardown by Todd McLellan to see what I mean.) The simplicity of these components doesn’t just make for clear-cut CNC machining, it also explains their ubiquity. Fire extinguishers are found mounted to walls in nearly every building — often times throughout multiple units within larger building complexes — in the entire world. Yes, they’re useful, but their design makes for easy production scalability, too. 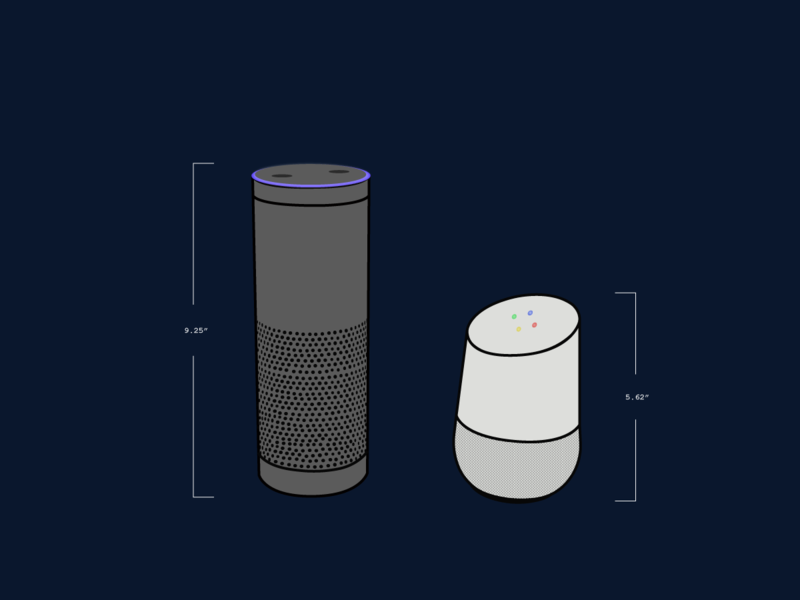 While the Amazon Echo Dot has a plastic encasement and internal components that are produced with plastic-injection manufacturing methods, the inverse dies used to form the plastic components are generated from CNC-milled solid aluminum billets. That goes for Google Home as well. In other words, it doesn’t matter which smart home assistant device’s jokes you prefer or which one’s methods for queuing up your favorite playlist feel most intuitive. Each one utilizes CNC machining in its manufacturing process. 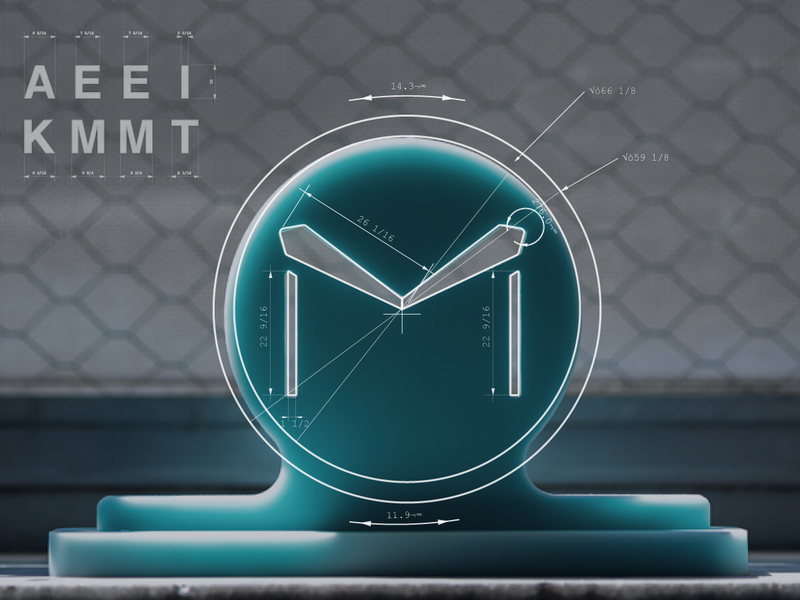 As you can imagine, uncovering that truth excites us, because MakeTime is literally in the business of accelerating the CNC manufacturing process, which means we could likely improve procurement timelines for both devices.By leveraging our vast and vetted CNC machining capacity available all over the country and by using our advanced data-driven cloud technologies, getting to market with amazing new things wouldn’t just happen for companies like Amazon and Google. It would happen faster. Another example of CNC machining inside a haptic object like those discussed above is the solid stainless steel ring that encases the omnipresent Nest. 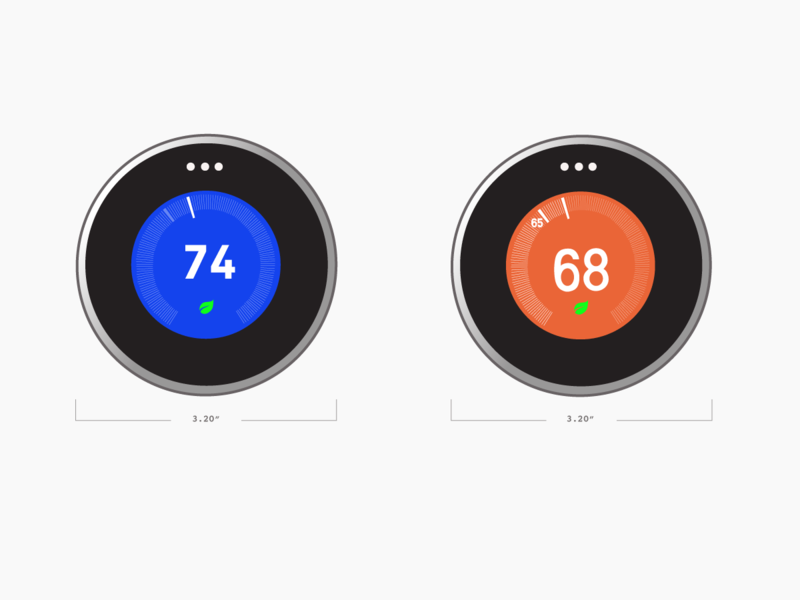 A smart-thermostat for the home, its final 3.27” diameter is likely turned down on a lathe from a 3.375” diameter solid rod stock of 316 Stainless Steel. The smooth aesthetic for the outside of the ring was likely handled in a fine finish pass with a minimal depth of cut right at the CNC lathe, too. This type of work could easily be handled by our trusted network of suppliers. They know the optimal feed and speed rates to make components like this one and numerous others. While we know these devices sound like the next tech-driven antagonists at the center of movies like Kubrick’s 2001: A Space Odyssey and Disney’s mildly dystopian Smart House, we’re not in the least bit apprehensive. Setting the temperature of your living room from your phone before leaving the office is actually quite convenient, especially when you live in the Midwest like we do. Prone to volatile and rapidly changing weather, what’s happening outside is just about the only downside to living here. MakeTimers like myself are actually really lucky living here in the heart of American manufacturing. When it comes to seeking out and finding amazing suppliers who can machine parts on time and at quality, we’re sitting in the literal sweet spot. But what about designs whose appearance and use simply cannot be handled at the CNC machine? What about those that require secondary processes for pragmatic reasons like wear-resistance, color, structural integrity, etc.? Well, our precision CNC supplier network can handle all that, too. From a common Type II black anodize to more specialized zinc plating and heat treating, our network of suppliers and secondary process suppliers can handle secondary finishes to spec and they can do it within prescribed time constraints, too. It gets weirder and more wondrous. 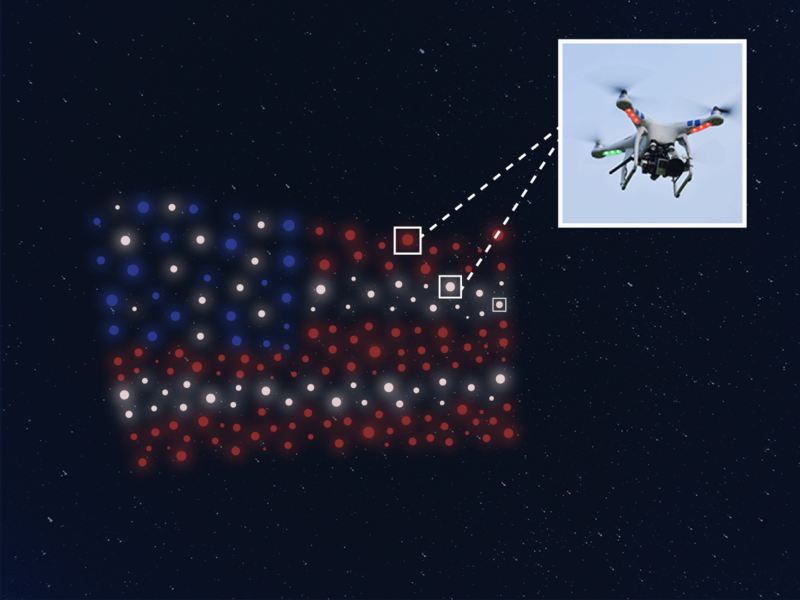 What do flying drones choreographed to “dance” and form an American flag alongside a suspended and singing Lady Gaga have in common with perforated CNC waterjet-cut panels of the brise-soleil on the southernmost facing façade of a recent LEED-certified building? They each contain CAD modeled, CAM programmed, CNC produced components that, when aggregated together, form final forward-thinking networks designed by top engineers and firms and manufactured by highly skilled machinists in U.S. machine shops. It seems like every day finds us chomping at the bit to take apart another new product. We want to keep learning how things get made, so we can better leverage our network of hundreds of suppliers on behalf of manufacturers. Our machining base can deliver first prototypes all the way through final production runs, and they can do it with the utmost precision, on time and at quality. For companies in need of components to fill products hitting the shelves just in time for the holiday season, for Tier 1 OEM automotive parts makers supplying some of the world’s most progressive automotive companies with what they need to hit the assembly line, we’re here to ensure procurement is faster and easier, and we love it, too. What will we get to make next? To find out more about how MakeTime can meet your online CNC machining procurement needs, click here.